Can you confirm these amateur observations of Echis coloratus? 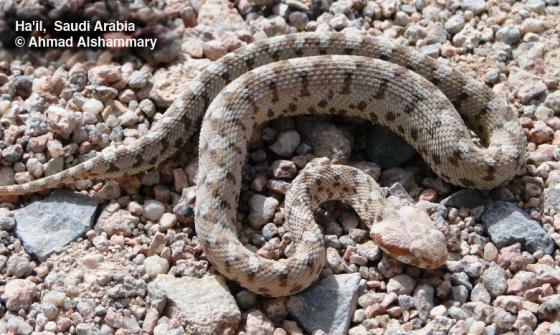 coloratus: NW Arabia, S Levant (Sinai), Wadi Arava), Egypt (east of Nile), Jordan. Type locality: Jebel Sharr, Midian, Arabia, elevation 4,500 ft.
terraesanctae: Israel, Jordan. Type locality: Ma’ale Efrayim, Samaria, Cisjordan. Distribution: Erroneously reported from Socotra. See distribution map in Babocsay (2003). 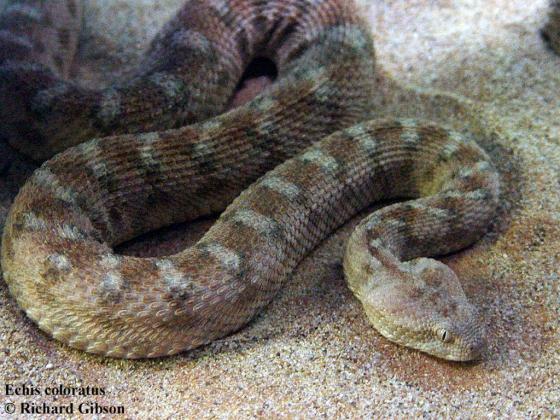 Populations from United Arab Emirates (UAE) have been described as E. omanensis, hence E. coloratus does not occur in the UAE. 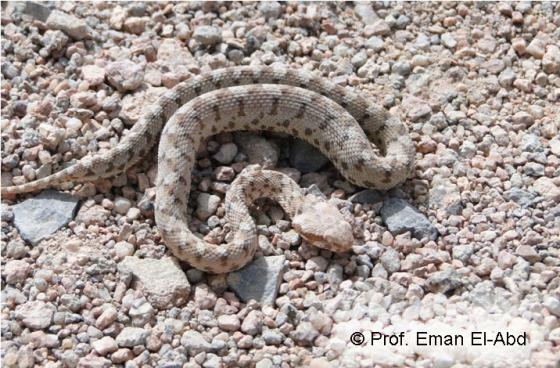 Reports from N Oman are now considered as E. omanensis. Similar species: May be confused with Echis omanensis BABOCSAY 2004. 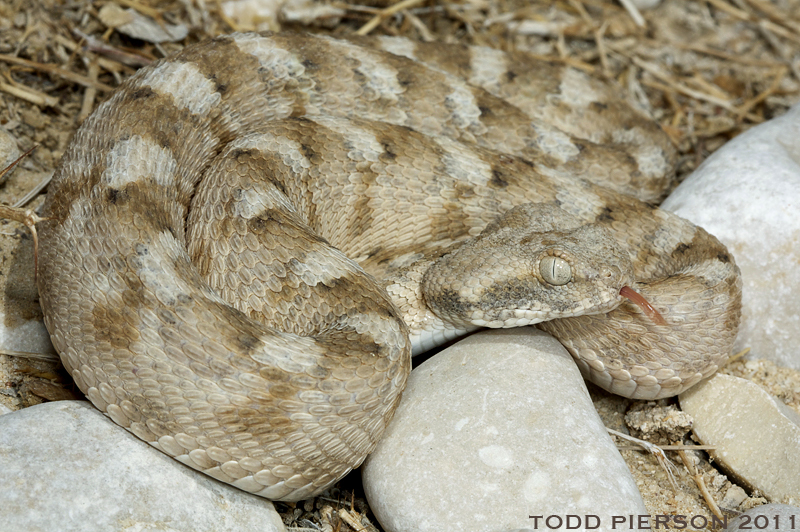 The main differences between Echis omanensis and Echis coloratus involve the gular scales under the head being rounder and more numerous in the new species. 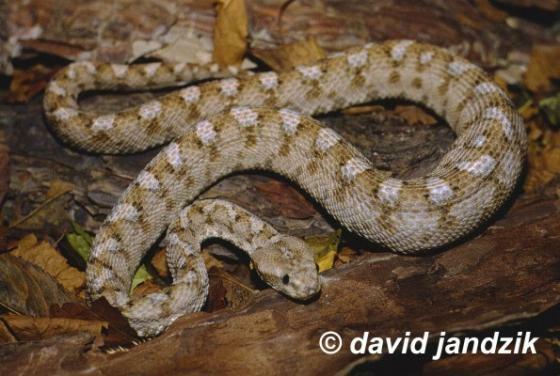 The tail is longer, with more sub-caudal scales, and there are differences in some of the scales around thenostrilsandinthepatternof darkgreyblotcheson the head, back and flanks.